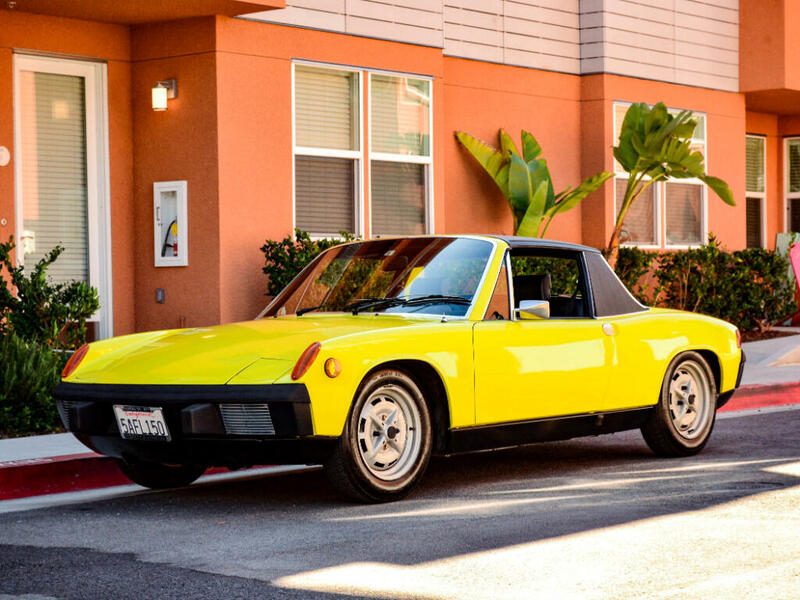 Chequered Flag International is pleased to offer this 1974 Porsche 914 1.8 in Saturn Yellow with Black interior. 96,720 miles. Exceedingly straight and honest example. Excellent paint. Fantastic impact free, front and rear trunks. Superb panel fit. Great original interior. Mechanically good and a delight to drive. Comes with its original owners manual/maintenance record, original window sticker, spare, etc. Inspections encouraged. All sales AS-IS. Sales tax and license fees due if delivered in California. Message: Thought you might be interested in this 1974 Porsche 914.